Styling footers proves to be a bit tricky. On a site where there’s a lot of content, this is not an issue. However, if you want to have the page be full height and scroll when the content overflows, there is some subtlety to styling the footer. It’s pretty easy to accidentally have the footer float in the middle of the page when the content overflows and the page scrolls. It’s also pretty easy to have the content hide underneath the footer. Head past the break for the details. Here’s a quick way to download developer documentation for any language or framework that has a public website. Maybe you’re about to get on a plane or train that doesn’t have WiFi and you want to use that dead time to actually get some development work done. The key here is two switches in the wget command, -r and -k.
After updating Fedora on my Dell XPS 13 Developer Edition, the suspend/resume stopped functioning. After resuming from being suspended, the laptop would immediately reboot. There had also been a long running issue where the touchscreen would not work after resuming from being suspended. The latter did not bother me that much, since I don’t feel the need to use the touchscreen all that often. The former, however, was going to be a huge issue. After a lot of digging and trying out all kinds of things, I stumbled upon something that finally worked. Head past the break for the fix. Let’s say you have a few routes that are all related, but don’t really map to the usual resources. 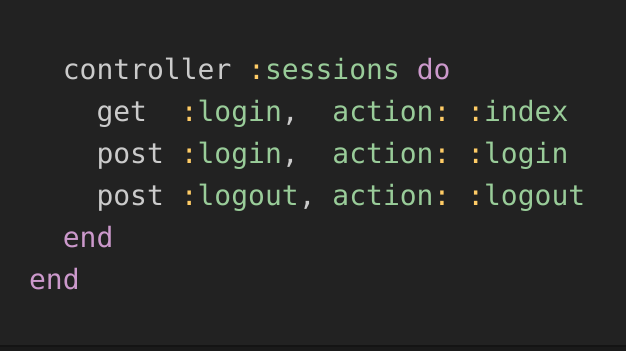 For example, a login/logout controller named SessionsController doesn’t really fit the usual resourceful route model. Head past the break for all the details.